The olive tree is mentioned countless times in the Bible, conclusive proof of the connection between the people, the land, and the earth. Here are some examples. The olive is first mentioned in the story of the Flood, when the dove that was sent by Noah from the Ark, returns with an olive leaf: “And the dove came in to him at eventide, and lo in her mouth an olive leaf freshly plucked” (Genesis 8:11). great and goodly cities, which thou didst not build, and houses full of all good things, which thou didst not fill, and cisterns hewn out, which thou didst not hew, vineyards and olive trees, which thou didst not plant, and thou shalt eat and be satisfied” (Deuteronomy 6:10-11). And indeed, when they conquered the land, the Children of Israel did find there “vineyards and olive trees, which thou did not plant.” When the tribes settled the land, the tribe of Asher received its inheritance in the Galilean mountains, which were blessed with an abundance of olive trees. When blessing the leaders of the tribes, Moses said to Asher: “Blessed be Asher above sons; let him be the favored of his brethren and let him dip his foot in oil” (Deuteronomy 33:24). We see that the flag of the tribe of Asher bears an olive tree, and the Galilee, where the tribe of Asher settled, is even today covered with high quality olive groves. the fact that the olive was the first plant to which the trees turned when they sought to anoint a king over themselves: “And they said to the olive tree, ‘Reign over us.’ But the olive tree said to them, ‘Should I leave my fatness, with which by me they honor God and man, and go to wave back and forth over the trees?’” (Judges 9:8-9). 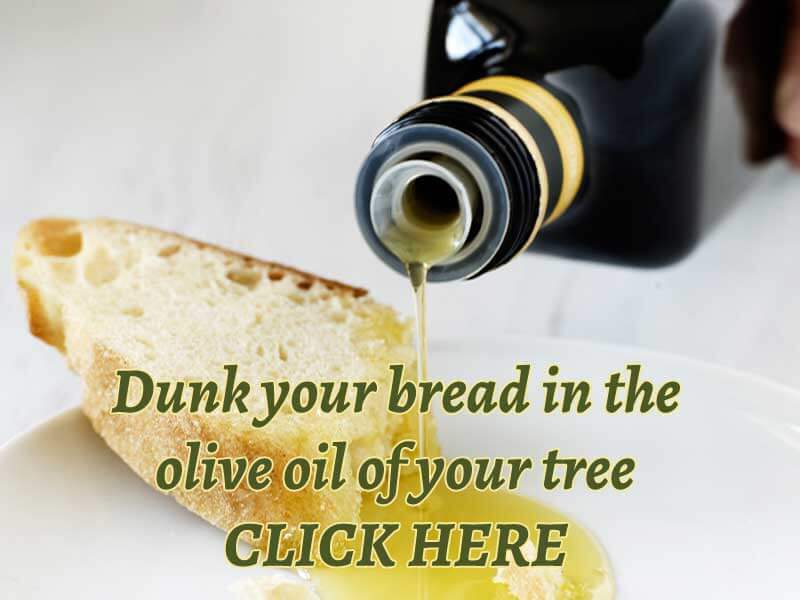 The olive tree was revered in the biblical period for its glory, the freshness of its evergreen leaves, and the strength of its roots that can even penetrate rocks. 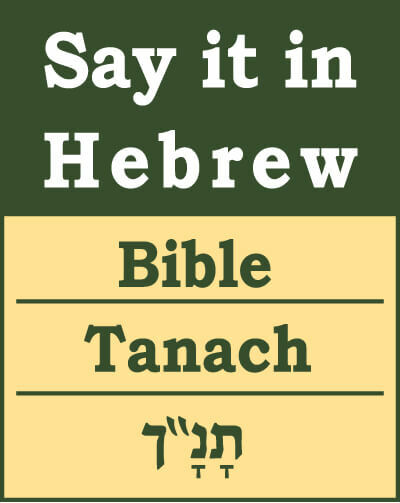 The prophet Jeremiah described it thus: “The Lord called your name, A green olive tree, beautiful with goodly fruit” (Jeremiah 11:16). 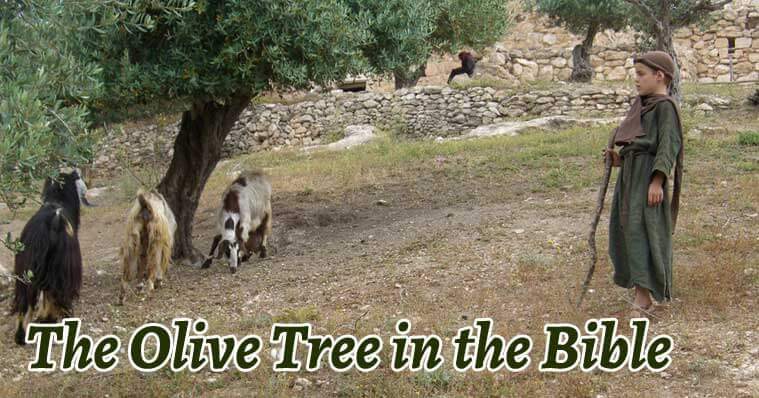 The prophet Samuel also mentioned the olive tree: “He will take your fields, and your vineyards, and your olive groves, even their best” (1 Samuel 8:14). King David appointed special ministers over the olives and the treasures of oil: “And over the olive trees and the sycamore trees that were in the lowland was Baal Hanan the Gederite” (1 Chronicles 27:28). 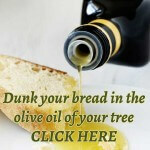 The olive tree is mentioned three times in the New Testament. 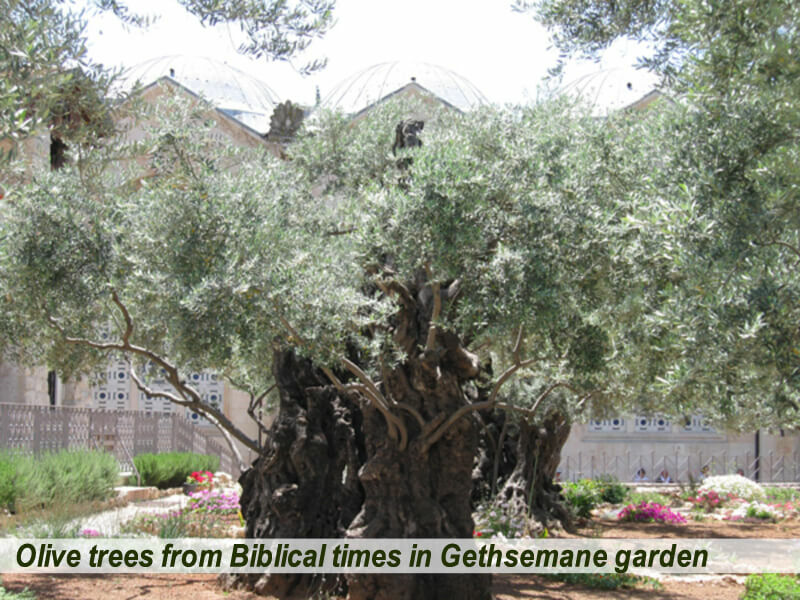 Paul used the grafting of wild olive branches into the natural tree to describe the process of gentiles coming to faith. And then “For if you were cut off from what is by nature a wild olive tree, and were grafted contrary to nature into a cultivated olive tree, how much more shall these who are the natural branches be grafted into their own olive tree?” (Romans 11:24). “These are the two olive trees and the two candelabra that stand before the Lord of the earth” (Revelation 11:4). 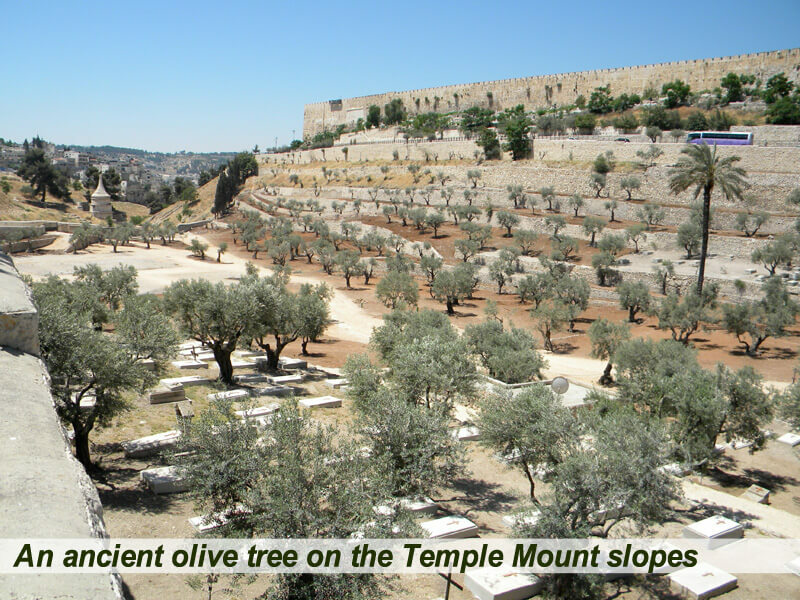 Though olive trees are not specifically mentioned, there are several references to the Mount called Olivet (Luke 19:29; 21:37; Acts 1:12), Mount of Olives (Matthew 21:2; 24:3; 26:30; Mark 11:1; 13:3; 14:26; Luke 19:37; 22:39: John 8:1), and Gethsemane, which is an olive grove (Matthew 26:36; Mark 14:32).